I’m Dan Sadgrove and currently in Wanaka, New Zealand. I’m originally from Auckland, New Zealand but haven’t lived in NZ for 6 years - I thought Wanaka might be the best place to dip my toes in the homeland again and it’s been pretty stunning so far. Just think Lord of the Rings without Sauron. I’m a visual researcher working in film and television and I’ve been on the road just over 18 months now. I’m what they call a slow traveler - I’ll spend a few months in a place before moving on. Before Wanaka I was living in Joshua Tree, California, which was a vastly different experience to my current one; trading the dusty, arid desert landscape for the mountains, lakes, rainforests and glaciers of New Zealand. Photography has no real influence on the way I travel to be honest. If I see a nice frame I’ll take a photo, but since I shoot film I’ll only generally take 1 image and move on. I forget about the photo right after the shutter releases because I know it will be months before I get it developed and see the result. I never want to let the camera dictate how I end up feeling about a place so I don’t place much importance on photography when I travel. I shoot sometimes with my iPhone but more often what I see with my eyes is vastly different to what I see on the screen, so I might be a bit gutted momentarily by not being able to capture it. I’m a bit of a romantic with film over digital - I still think digital is just 0’s and 1’s, where film is light passing through a lens onto film. It has a certain soul to it. People are trying to imitate film with digital these days with the VSCO filters in Lightroom and such - just shoot film! 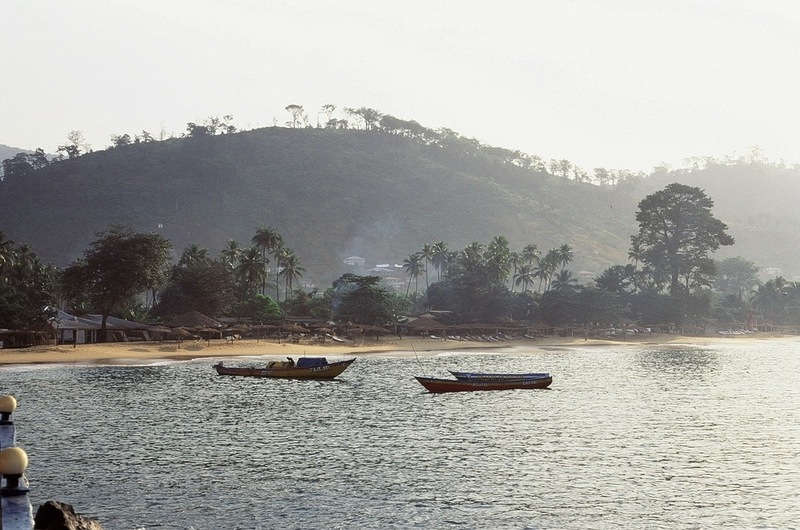 What sparked your interest to travel to Sierra Leone? How did you plan for it? I wanted to step out of my comfort zone totally and have no preconceptions about a place, no online reviews telling me where the best places to eat are and where to stay. No travel guides, little information about what to expect. No stories from friends who have been there. Fresh eyes. I’ve always wanted to go to Africa, but I wanted to experience it culturally, which is where West Africa has it in spades. East Africa for the Safaris, West Africa for the culture. For a few years I’ve tended to stay away from travel hotspots and try to reach areas with no tourists. With Sierra Leone I had a friend who works for a large humanitarian organisation in West Africa and he told me where I should visit and not visit. I ended up going to Sierra Leone, The Gambia and Senegal for a month long trip. Once he gave me rough areas where it’s safe I booked a place online for a few days and thought I’d just take it from there. What was your favorite approach to photography while there? Did you generally strike up a conversation with your subjects or just candidly capture the moment? How did people react to being photographed? I just shot the people around me who I talked to. You never know how cultures are going to react to a camera and, apart from my brief sojourn into street photography in Kuala Lumpur, I always ask the subject. Though in saying that, I like candid photos. Documentary photography is my favourite, but the people of Sierra Leone are proud people and usually greet the lens with a broad smile rather than ignoring it. One man took offence to a photo I took in the city markets - he said I needed everyone’s permission - I think there was about 50 people in front of me which would have taken a long time to ask everyone, by then the moment would have gone. He was pretty hostile to start with, but I did what my cousin told me to do when greeted with in-your-face hostility. I gave him a big smile, put my hand out to greet him and brought him in for a hug. It’s totally disarming. We ended up having a pretty funny conversation for a while - he told me I looked Chinese, though I couldn’t look whiter. Guess he wasn’t used to white people being around. What was your route? What cities did you visit and how did you navigate between each city? I flew in, got a bus to the pier, and then took a boat over to the capital. From there I was picked up by the owner of the place where I was staying who picked me out straight away; I was surprised, but then again I was the only white person on the boat. Together we drove to Lakka Beach where I stayed for most of my time in SL. I only worked with the villagers to organize my travel. We’d go out in one of their cars for a day so I could send an email back home to my mum saying I was ok. I didn’t ask for any tour companies, though I’m not sure there were any around where I was when I went. I stayed mostly on the coastline - visiting the villages at Lakke, River No.2, Tokeh and Bureh beaches, or going into the city for a day out at the markets. 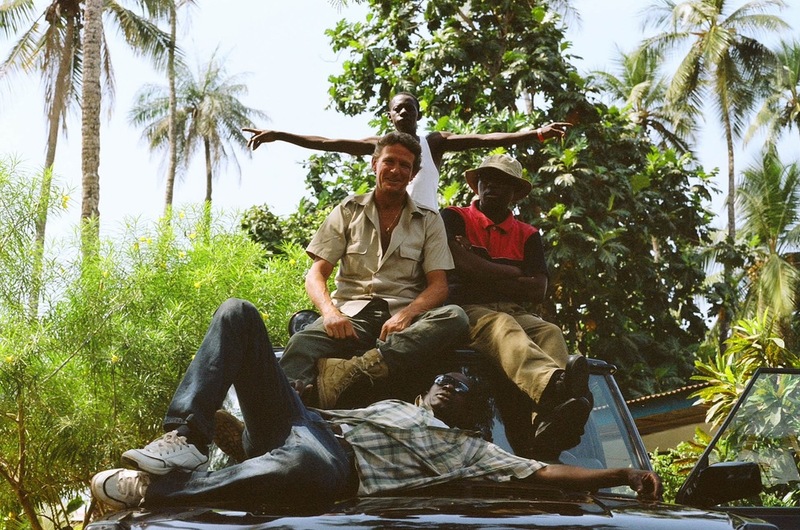 What was your experience as a traveler in Sierra Leone? Were you well received by locals? Did you travel by yourself or with others? Locals were all pretty interested in me to be honest, there’s not many travelers there and hardly any white people - and I had a beard and long hair at this stage - so I pretty much got called Jesus or Moses everywhere I went. People were generally curious because I travelled alone or with someone from the village, but I was never in any danger. Nothing like what you read in the media. If you have a bit of common sense and stay away from the city at night then you’ll be fine. 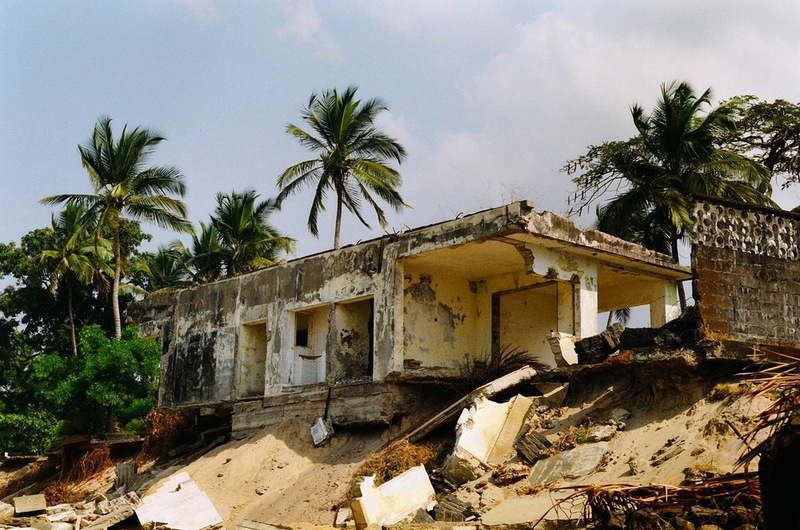 We went into Freetown once to party, which was pretty eventful, but I wouldn’t stay there long term. Being on the beach was perfect for me. Did you have any expectations or preconceived notions about the culture you would be exposed to? How did they differ from the way the culture actually was? None, I have a degree in Anthropology and Ethnomusicology where we had studied cultures of Asia and Polynesia mainly so I was versed in the vast differences in which many cultures experience life, so that might have been a very small advantage in preparing me for the experience. 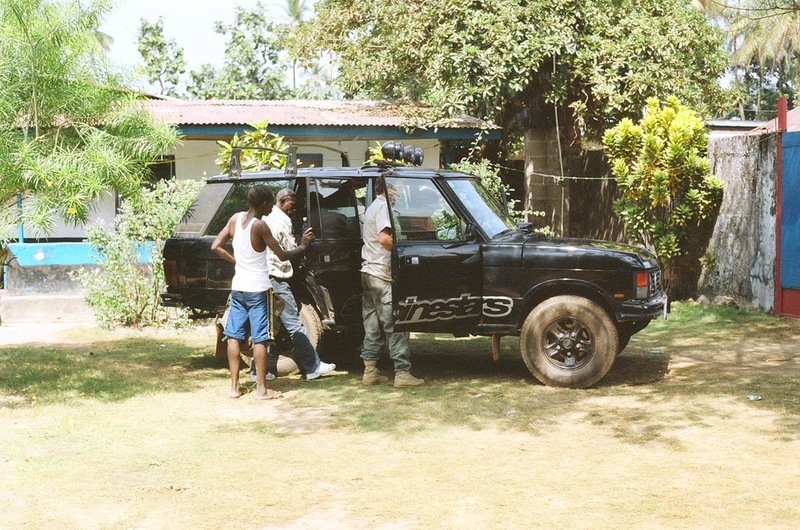 I knew nothing much of Sierra Leone and had no expectations or preconceived notions of what it was going to be like. Before the recent Ebola outbreak, you would only hear on the news about Sierra Leone in regards to the civil war, which was finished 10 years before I arrived there. But the ghosts of those atrocities still remain in how the country is perceived, unfortunately. It’s the same everywhere you go - the only news you hear of it is the negative, and it’s rarely the case when you end up going to a place. 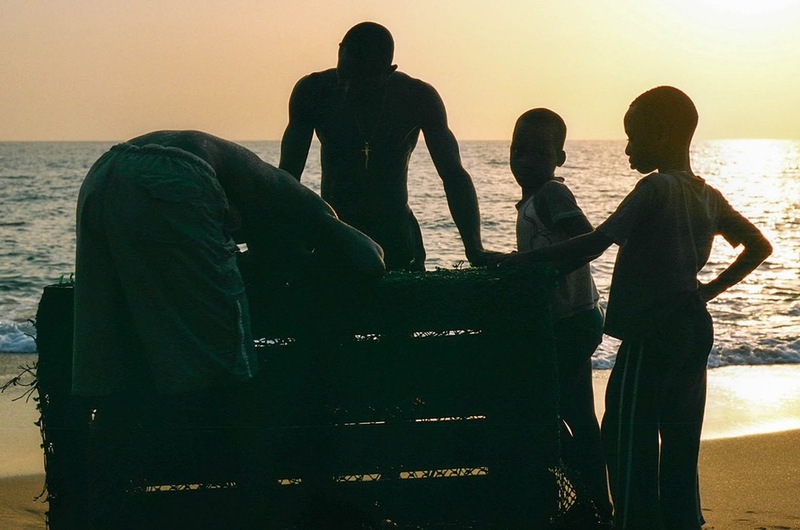 People are kind natured in general and the people of Sierra Leone were no different. They wanted to put the war and that whole horrible experience behind them and were looking at the future with bright eyes and open hearts. Before the Civil War, Sierra Leone was a destination hotspot for French celebrities and supermodels in the 80’s, or so I heard, but I believe it. The beaches are stunning and pristine; it was paradise. At the time of my visit, I believe the country was on the road to recovery - very slowly, but progress was being made. It’s a real shame and just awful what happened with Ebola. I don’t know how long it is going to take for them to recover from it, but I hope they do and fast. Sierra Leone really is a special country and absolutely stunning. What were some of your favorite culinary experiences? I mainly ate seafood and rice cooked by 14-year-old kids, so it was generally grilled to death on an open fire. Hah! I visited an Italian restaurant down the coast, which was pretty famous locally. Apparently, some Sicilian on the run from the mafia some 20 years ago holes up near Lakka Beach - or so I was told. He wasn’t at the restaurant when I was there, but the local Ceviche was fantastic. Another time, I ordered lobster from a little food shack on the beach and the owner just walked out and went for a swim. Or so I thought. I was wondering what on earth he was doing because he took my order then went straight into the water. He slowly comes back up pulling this huge lobster cage out and beckons me over to pick one out to eat. What would you like people to know about your experience within the country that is little known? 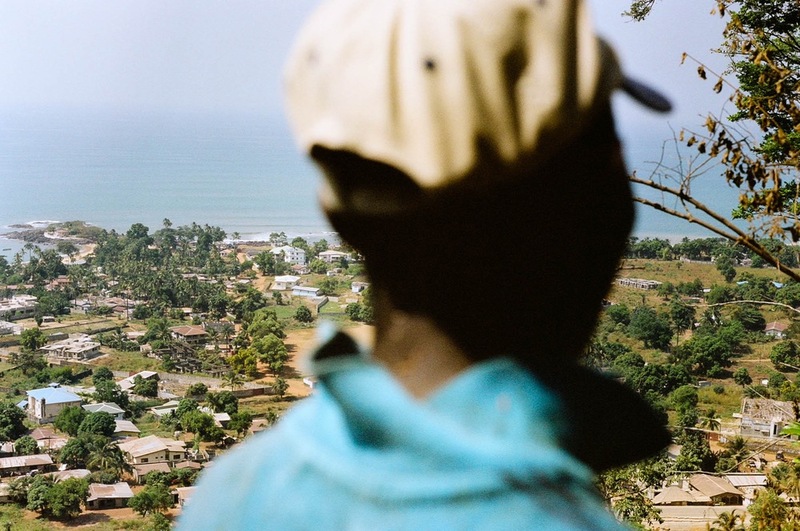 Everything to be honest is little known about Sierra Leone. I tried to get a lot of my friends interested, but some people just want to relax and experience something everyone else has already done. What recommendations can you share for future travelers? Go to Lakka Beach and travel down the coast to River No.2, Tokeh and Bureh Beaches. Walk out to the main road and hail down a kid on a motorbike, he’ll take you wherever you want to go for just a couple of dollars. There’s some surf in Bureh beach too, not big, certainly not crowded either. Last I heard they had set up a surf club there, the membership was around 4-5 people. The whole country is an experience so go stay in a village near the beach and immerse yourself. It’s about US $600 a year to rent a shack out in the village I stayed at. I’d be a bit hesitant to travel there now with the outbreak, keep an eye out on the travel warnings but keep it on your bucket list in the future. What is your favorite/funniest memory from your trip? The owner who walked into the ocean after taking my order was one of the more ridiculous things I’ve seen, but there was a night out at a Chinese run casino with a diamond miner, a pimp, a presidential guard and the driver that was pretty jokes. But I’m not sure it’s the right platform to tell that story, that’s more a story for around the bonfire. Maybe one day if you meet me and we’re at a bonfire I’ll tell you about it. Of all the images you captured throughout your trip, which would you say was your favorite? There's a slightly embarrassing story behind this photo (see image above) taken just beside Lakka beach. I met a guy there who used to play a bit of ball and he took me to this court. The ball was about 10-15 times the normal weight of a regular basketball, so we rocked up and challenged these kids to a game of 2 on 3 (2 of us vs. 3 of them). We won the first two games, then the last one they were up 11-5 (first to 15) when I said to the guy holding the ball in the photo (who was clearly the best player on their team) that I’m 'shutting you down' and that he wouldn’t score again. Next play, I blocked the crap out of him nearly breaking my hand trying to swat the rock out of bounds. The kid didn't score again and we won 15-11. When we walked off the court basking in the victory I realised I had just trash talked and 'shut down' a 13-year-old kid who was a third my size. Yes my competitiveness sometimes embarrasses me and in my defense - which is almost indefensible - I stayed back for half an hour teaching them some moves to run the next time they took on the other kids. The media will always focus on the negative, mainly to spread fear through ignorance. Maybe I’ve been lucky, but I’ve never been in any serious danger wherever I’ve ended up going. Check the travel warnings from your government, as some areas are not as safe as others. All you need is a bit of common sense. Cover up the labels on your camera with tape, don’t wear flashy things, and assimilate yourself into the culture as soon as you can. Blend in so you don’t stand out. Wear what everyone else is wearing - only if it’s not traditional dress - and you will be fine. Everything was a surprise. The incredible beaches, interactions with the locals, palm trees, fresh lobster, and spending Christmas with a local family who took me in (felt sorry for me). It was an experience I’ll remember forever. What’s next for you? Any final words of advice for those interested in traveling within the region? I’m heading to Berlin in a couple of weeks to meet some friends from London and stay in a city for a month. I’ve been traveling in solitude for a long time now, staying in small isolated towns and it’s time to hang out with some friends again in a big city. My advice would be to visit West Africa, somewhere not affected by Ebola (unfortunately Sierra Leone is one of the most affected regions). Go in with open eyes and a warm smile and you’ll have a great time. If you haven’t been before, or haven’t travelled much then the moment you step off the plane it’s going to be a full-on experience. Keep your wits about you but just go for the ride. You never know what might happen.